A beautiful young Muslim girl poses in her doorway for a photo (ARCHIVED PHOTO on the weekends - originally photographed 2009/02/20). She's Muslim so it's probably my Catholic school education rearing its ugly head once again but I could swear that's a portrait of the virgin Mary and baby Jesus behind her. Or a painting by one of the Dutch masters :-). 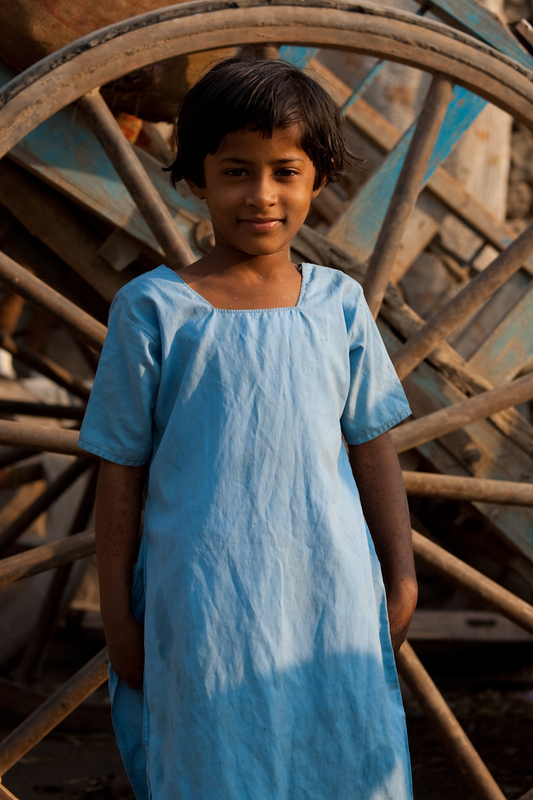 A cute young Indian girl whose arms are covered in faded henna tatoos (ARCHIVED PHOTO on the weekends - originally photographed 2009/02/20). The girls looks very cute on your pictures. I love faded henna tattoos. They are in fashion this season. Sometimes people need research paper writing services to make their life easier.